Thank you to all of our 2019 runners. What a fantastic day at the Saucony Cambridge Half Marathon, it was amazing to see thousands of runners taking part and raising money for good causes. To see your results and photos from 2019 please use the link here. The Saucony Cambridge Half Marathon will return in 2020, pre-register to be the first to hear about event news and entry information. Our route will take you on a truly unforgettable journey through the beautiful city of Cambridge, passing countless historic landmarks along the way. Whether you’re a first timer or looking for a course record, our flat course means everyone has the best possible chance of achieving their goals. 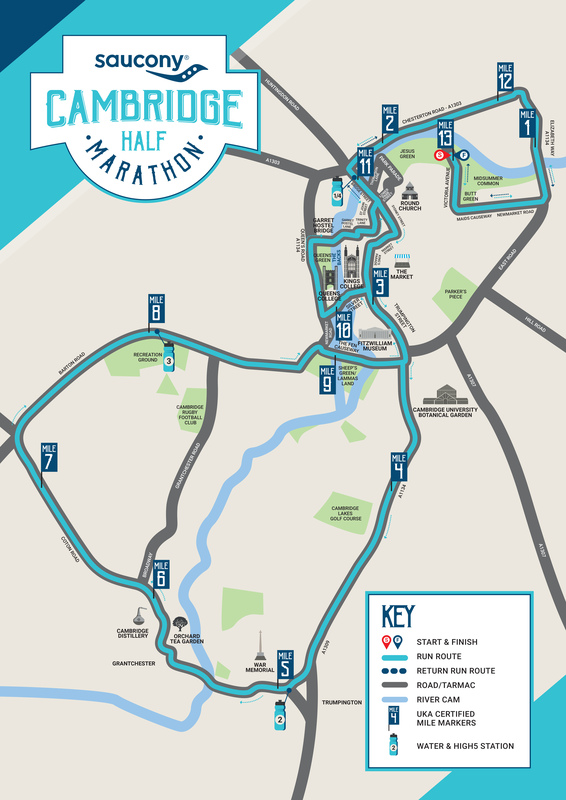 With 10,000 participants, the Cambridge Half Marathon is one of the UK’s biggest running events. You’ll definitely make some new friends along the way!